Enter your location above to search. Unfortunately, no locations match your search criteria. Please try again. Simply expand your search radius. You're not connected to the internet. Please connect and retry. Only our trusted network of independently owned paint authorized retailers can sell Benjamin Moore paints and stains. Benjamin Moore is only available at independently owned paint and hardware stores. 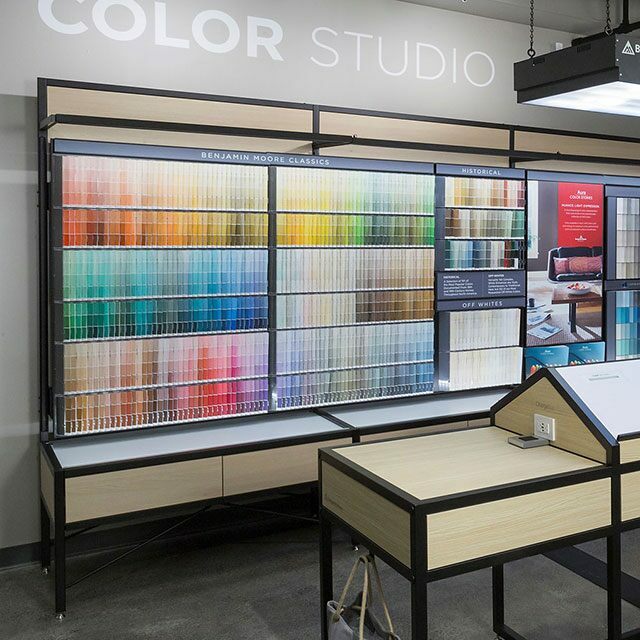 It is an unparalleled retail experience whether you need interior or exterior, premium or commercial-grade paint or stain. Benjamin Moore paint stores are ready to serve you. 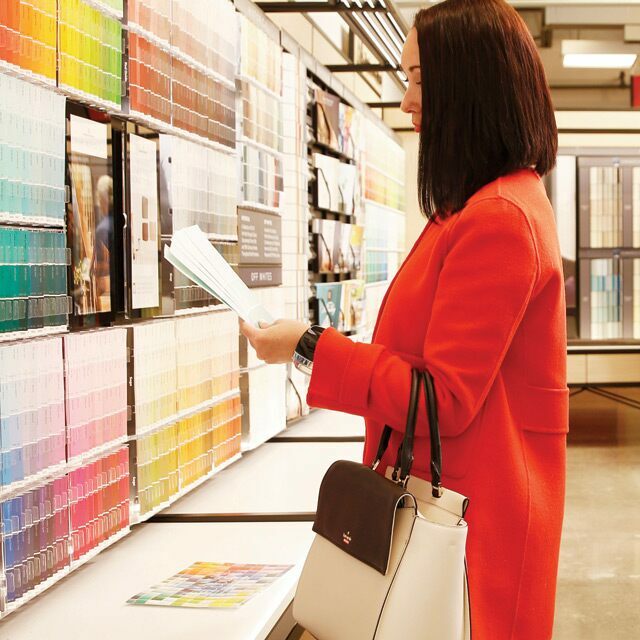 Knowledge is mixed into every can of Benjamin Moore paint. Color consultants and paint experts help you combine the right color with the right paint for the right results. And unlike big box stores, you’ll always find personalized, unrushed service. Our innovative products are found at over 5,000 independently owned paint and hardware stores throughout North America. But if for some reason the product you need is out of stock, we can usually have it delivered to the store overnight. You can buy paint samples at your local Benjamin Moore store. Product questions? Visit our Product Catalogue.